I’ve had a 1977 VW Westfalia for quite a few years now. I bought it on Ebay for $4,000 primarily as a surf van, and figured I would do some beach camping. Over time it began to feel less and less like a vehicle and more and more like a home. Albeit a tiny one. It’s less than 15’ long. I had a long list of repairs, improvements and upgrades I wanted to make, and when I was done I thought it would be cool to take a long road trip. Over the years I got her running reliably, and even used it to commute from San Clemente to Carlsbad 2 or 3 times a week for a year. That gave me the confidence that I could actually take the trip sooner than later. The ever-growing list of upgrades could wait. I called a friend who had some welding equipment and we patched the perforated floor boards to keep the wind out. I did a valve adjustment, which is critical in these old buses. I told my family I was taking off, and didn’t know when I would be back. And I headed north. While I didn’t plan a specific itinerary, I wanted to stay close to the coast so I could surf as much as possible. I had a friend in Bellingham, Washington I had not seen in years, and thought that was a good destination. I figured it would take me a month, and then I’d decide what to do next. The trip was epic.The surf was not. But that was OK. 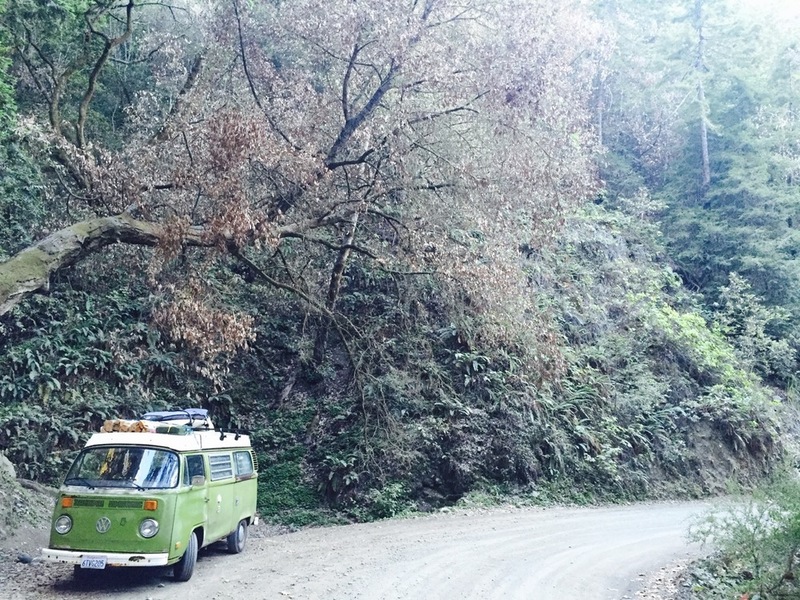 Traveling in a classic VW Bus is unlike anything else. It seems like everybody has VW story, and they are anxious to share it. I made so many friends along the way. Once I got to Washington, I decided to push on to Canada. There’s a little surf town called Tofino on Vancouver Island that I’d always dreamed of visiting. I wound up spending a week there at an old hippie commune called Poole’s Land. There I met oil rig workers and tree planters and vagabonds from all over the world, some living in tents, others living in vans, but all living amazingly fulfilling lives. I was preparing to head to Alaska on the Alaskan Interstate Water Highway Ferry, but the weather turned suddenly. I was looking at a week solid of rain and wind up to 100 MPH. I took this as a sign to head back south. After all, this van life experiment had answered my initial questions. It was a lifestyle that puts freedom and adventure first. I learned that I had everything I needed to be happy in my 15’ bus. And that meant I had a giant house full of a lifetime of stuff that was no longer important to me. So I headed home to tie up all those loose ends I left hanging. Next summer I plan to head to Alaska for that next leg. But the real adventure is going to begin after that. I’ll keep you guys posted as it develops, but suffice to say it is going to be unlike anything I’ve seen related to van life before. If you want to follow along, you can join me on my blog. Send me a message and maybe we can meet along our journeys. I wish you all the most fulfilling and adventurous lives.